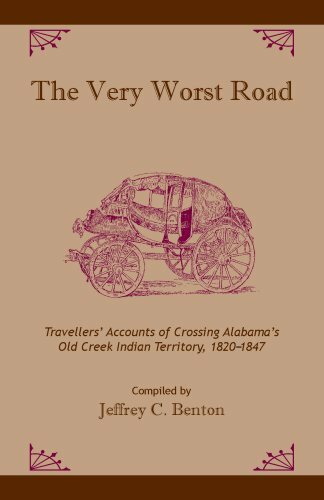 The Very Worst Road contains sixteen contemporary accounts by travelers who reached Alabama along what was known as the “Old Federal Road,” more a network of paths than a single road, that ran from Columbus and points south in Georgia for more or less due west into central Alabama and to where the confluence of the Tallapoosa and Coosa Rivers forms the Alabama River. These accounts deal candidly with the rather remarkable array of impediments that faced travelers in Alabama in its first decades as a state, and they describe with wonder, interest, and, frequently with some disgust, the road, the inns, the travelling companions, and the few and raw communities they encountered as they made their way, often with difficulty, through what seemed to many of them uncharted wilderness. The Very Worst Road was originally published by the Historic Chattahoochee Commission in 1998. A fascinating book that I could not put down! The Emancipation Proclamation was issued in 1863, but a contemporaryAfrican American saying predicted that freedom would come only afteranother hundred years of struggle. That prediction was about right:the civil rights struggle erupted in the middle of the 20th century,with its violent epicenter in the industrial city of Birmingham,Alabama. There freedom riders and voter-rights activists faced downKlansmen and Nazis, who had put aside their own differences to cast apall of terror--and the smoke of a well-orchestrated campaign ofchurch bombings--over the South. The Church Bomb story is not yet complete. Finally deciding to read about the Civil Rights Movement of long ago,I purchased four books for Amazon. Per usual, I went straight to the index of Diane's book and marked all the names I knew well. What a shock! Ninety percent of the names were of the same "lying, two-faced, double-dancing,sneaky, opportunistic, arrogant, white folk loving" Uncle Toms who had co-operated with segregation and economic debasement in the first place, and desperately tried to interpose themselves and keep us from fighting the Battle of Birmingham. Taylor Branch, Dave Garrow, and now McWhorter seem to have gone straight into B'ham and straight into the trap of the "high-class" ones, and get only [their] stories. I did not see a single quote by any one of the black idiots who risked theirlives and limbs in the terrible fracas(Why not interview the middle-aged woman on the ground fighting the big German Shepherd attack dog).I see. She was not an important "civil rights leader",not a preacher, and not a Tom! This book is a very good linear history of the seminal and pivotal Birmingham, Alabama campaign, despite my criticque, and despite being third person written. Those who read books get history that you do not see on television. This is simply a necessary book for anyone who wants to understand the Civil Rights Movement, the city of Birmingham, Alabama, the relations between big business and racism and fascism in this society, and Amercian politics , not only in the historical period covered by the book, but in general.The significant weakness of this book is that McWhorter's focus is chiefly on two groups of while people: Birmingham's industrial and commercial ruling class and the variety of fascists, racists, and terrorists that they employed to maintain the dominant order. While she does document enough about the civil rights movement in Alabama to make the book understandable, she has little concern for how the lives of everyday Black people in Birmingham were changed by what she talks about.Moreover, McWhorter focuses not on the issue of real integration of the life of Birmingham, but on the formal agreements between white business leaders and the civil rights movement in 1963 and early 1964, which even at the time that her book closes were not being carried out by the white business leaders and the local governments.So we are left at the end of the book curious as to how de facto desegregation took place. Of course, no American city, including Birmingham, has been truly desegregated in regard to housing, employment, and schools. McWhorter gives a good picture about how big Northern-owned industry that dominated Birmingham economically and politically was responsible for the severe racism of the city.She shows how big business nourished the Klan and other violent organizations against Black people, during its battles with workers trying to unionize steel, coal, and other industries starting at the turn of the century. The lineage of the fascist and Klan groups fed by the big business leaders during those years continued in the series of murders and bombings that shook Birmingham in the 1950s, and led to down to the individuals who bombed the 16th St. Baptist Church in 1963. For example, Hitler-loving fascist and antiSemite, Ace Carter who began in the 1930s became one of George Wallace's main speech writers in the 1960s. That is the important part of this book: Southern racism was at the service of big capitalism nationally, not a product of something Southern, but something capitalist. McWhorter shows how the power structure in the 1950s and 1960s resisted the civil rights movement, came to support the renewed racism represented by George Wallace, and had long before put Bull Connor into a position where his job as police commission largely involved coordinating terorism against Black people along with the Klan and neo-nazis. She also does picture the civil rights movement in Birmingham starting with the movements that began as part of the labor radicalism in the 1930s and 1940s. She is best when she is talking about the tension between Rev. Fred Shuttlesworth, a militant Birmingham leader who eventually moved to Cincinatti but continued to function in Birmingham's movement, and more conservative leaders like Martin Luther King. Toward the end, she notes that the rebellions that met Birmingham's police after the bombings in the 1960s, though condemned by the civil rights leaders, had a very strong impact on creating the fear that brought about concessions. She does note that the Kennedy administration considered all direct action civil rights activities, like the marches that force Birmingham's rulers to make concessions, "poorly timed." McWhorter overglorifies the white business leaders who made small concessions on integrating lunch counters and dressing rooms in stores, and hiring a few black clerks in the stores and other demands is a bit disconcerting.She tends to picture them as leaders in the effort to create integration, as opposed to the last guard of realistic resistance against real Black rights. Moreover, history, and even she shows that they backed off from their agreements for years.Again, it would have been more satisfying if she discussed how these and other concessions were won in the years after her book closes. McWhorter has a fascination with historical and personal details of members of the white elite.We find out who was whose cousin, who was at whose wedding, who did what in 1920, 1930, 1940, 1957, and she presents hundreds of individuals and their details.Sometimes, she gets carried away and her details don't really contribute to understanding the central theme of the book, the civil rights battles in Birmingham. Unfortunately, true after the 1963 Church bombing McWhorter concentrates almost totally on the details of the Klan and fascist terrorists suspected of the bombing, while leaving out what happened in Birmingham or the civil rights movement. The civil rights movement in Birmingham did not end in 1963. Many of its battles remain to be fought there and throughout the country.With all of its weaknesses, Carry Me Home helps us understand the fight then and the fight now. 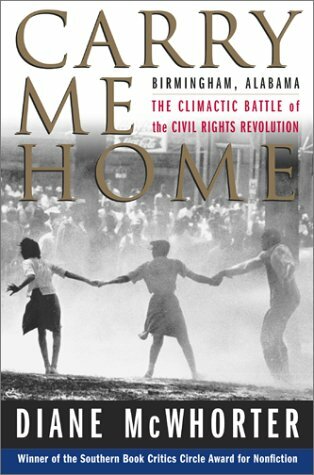 Carry Me Home:Birmingham, Alabama:The Climatic Battle of the Civil Rights Revolution is a definitive study of the Civil Rights Movement that occurred in Birmingham, Alabama in 1963.Pulitzer Prize winning Journalist Diane McWhorter brings this particular history alive for her, the people that lived during this era, and those who are now trying to understand this difficult period in American history that involved segregation and unconstitutional Jim Crow laws.Although McWhorter is not a historian, she divulges detailed facts within the book, which may be overwhelming to some readers.McWhorter writes as an investigative journalist, and at times sensationalizes particular situations in order to get her point across, which appear repetitious.On the other hand, it is effective in conjuring the emotions of the period as it occurred from both sides of the conflict.Her narrative attempts to lock each quote from each person within the context of the past, which may disturb and shock present day readers. McWhorter argues that this particular conflict emerged from the effects that the New Deal had in Birmingham upon its arrival.She presents a complex history that involved the Southern elite, which included her father, Martin McWhorter.One of the interesting aspects of the book is McWhorter's emphasis of the New Deal's ties with the labor movement, and labor workers who resisted the transition belonged to the infamous Ku Klux Klan.When describing the events that led to the conflict in Birmingham, McWhorter shows readers how the Ku Klux Klan mentally and violently inflicted pain on Blacks, which she compares to that of the Nazis in Germany and what they did to the Jewish people during the late 1930s and 1940s.And ironically, this particular history is not at all too distant in the past because what happened in Birmingham in 1963, if comparing twentieth century history to nineteenth century history, did not occur hundreds of years in the past, and this "Revolution" still rears fresh in so many minds. McWhorter attempts to achieve objectivity with this riveting event in history.She accomplishes in providing the reader with an eyeful of names and places that are chronologically placed.The most compelling aspect of the book is the acknowledgment of the numerous wrongdoers who attempted to roadblock integration, and the unsung heroes that helped to achieve civil rights in the South and the entire United States.Lastly, McWhorter shows much empathy and respect for the four young girls who lost their lives at the Sixteenth Street Baptist Church who were coincidently about the same age as she was at the time. Carry Me Home is yet another important account in understanding the Civil Rights Movement as well American history during the twentieth century.This is a definite must read. Last fall, I had two hours to spare in the city of Birmingham.Someone suggested that I visit the Civil Rights Institute.It was on the corner across the street from the famous 16th Street Baptist Church. Walking through the various exhibits touched me deeply. I wanted to know more about a part of American history I knew so little about.So I turned to Diane McWhorter's book Carry Me Home.It is a gripping account of the civil rights movement. And it accurately reveals the struggles, the complexities, the personalities and internal conflicts of both sides of the movement. Some of it in unimaginable. Although the book is comprehensive and detailed, it still flows.McWhorter is an excellent writter and she builds and maintains the tension right up to that explosive Sunday morning. I never got bogged down. The history is indeed complex. There is more to the struggle than meets the eye. And there are more heros than just Martin Luther King. Fred Shuttleworth is one of the many unsung heros who probably does not get the accolades he deserves. And the women played a vital role on the front lines.Great sacrifice and determination was spent, which increassed my admiration and respect toward the key players in the movement. Unique and very useful book! Very useful and interesting book, great descriptions of the towns with complete history and directions.Could use more pictures and maps, but I really like it! Do You Live Near a Dead Town? 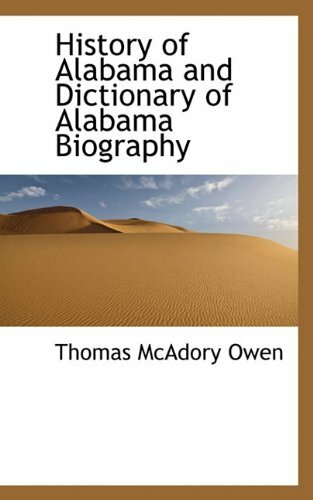 Being an Alabama native, I found this book fascinating! I learned about towns, villages, and communities that I never knew existed. Some of them were very near my hometown. The book contained several types of dead town information. It told of former Indian villages, Spanish, French, British, and American settlements. The earliest date was an Indian village which began around 1200 and died about 1500. When the Spanish explorer and Conqueror, Desoto, came to Alabama, many of his findings were written down. Desoto found Alabama as it existed when the Indians were it's only residents. Harris gives many details of these early events. He also shares later stories of conflict between Indians and early settlers. When people think of Indian/American conflict, they usually think of the Wild West. There are great stories from Deep South too! He also shares stories and events from more modern towns that have failed to last. Some of them existed during the Civil War and some even existed into the twentieth century. Many of these are very interesting as well. If you do not live in Alabama, you might find the book boring. If you live here, you may find there is a Dead town very near you, waiting for you to explore. 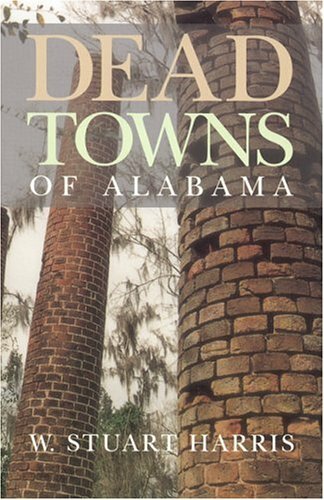 While this is an excellent study of Alabama's lost towns of old, I recommend it only for the most die-hard Alabama student/historian. 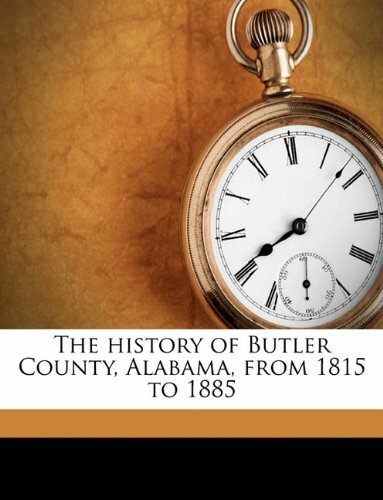 The listings are well-presented and there is much esoteric historical information contained within the covers, but the average seeker of Alabama history tidbits should look for a more general reference. 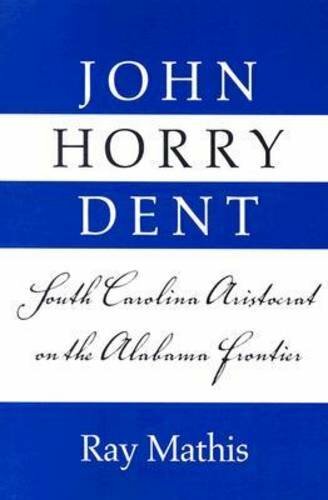 A decent general and relatively recent Alabama history book is "Alabama The History of a Deep South State" (currently available from Amazon & other sources). Although I don't completely agree with a few of the subjective opinions/views expressed in this publication, I certainly consider it the best history of Alabama to have been published in the last 50 years and do indeed recommend it! This is the most complete Book on this Subject, I have ever found.Mr. Harris did extensive research to compile such an informative and educational Book.I comand him, for his ideals, and even in a few areas,imagnation into reality. Reliable and exact, are the only words I canuse to refer to the excellance of the research that went into this work ofArt.Every page has information described to perfection, the areas,locations, times, dates, descriptions of everything are so real, I felt Iwas there. I learned more, about Alabama than I will ever know, about myown Home State. just after the US decides to set up its own houses or "factories"to trade with the Indian tribes. Gaines has a long ,colorful, variedcareer inearly Alabama. 1-detailed accounts of various Choctaw chiefs and choctaw traders including the famous Pushmataha. 2- Gaines's detailed account of the Choctaw removal including the scouting party to select village sites for the Choctaws. 1- his inability to get paid for his services and bad dealings with Lewis Cass in Washington City. 2-his good relations with the Choctaws and fondness for them. 1- He is elected to a short term as an early state Senator but very little detail is given here. This is when the state capitol is moved from Cahaba to Tuscaloosa. D- Gaine'sencounter with ex- vice-president Aaron Burr. It is the brother of Gaines, Gen Gaines,who captures Burr in Southwestern Alabama ( then Ms Territory) and delivers him to Richmond,Va. They have an interestingvisit with Burr at the home of Gaines as Burr is found near their home. After the Massacre of Fort Mims, it is Gaines who writes and informs Gen Jackson of the massacrewhich brings the Tennessee Volunteers to the Alabama Territory to attack the hostile Creeks. Gaines is a personal friend of Andrew Jackson. For a man living in the wilderness of the Alabama and Mississippi Territory, Gaines knows a lot of important people. Its apparent that the first love in Gaines career was his Choctaw indians. the trading house,and his management of the affairs with the various chiefs and treaties and his management of the eventualChoctaw removal to the west. Gaines speaks very little here of his family or his career in politics as a state senator. 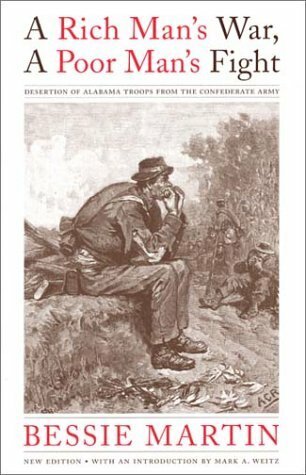 Woodward's"Reminiscenses"or LouisMilforts "memoires" concerning eye witness accounts of early life in what became the state of Alabama. Much of Pickett's history of Alabama was provided to Pickett by Mr Gaines. Other important primary accounts of Alabama history are those of Adair, Bartram, and, Romans which are more general in nature and also appy to Georgia and Florida. This collection of memoiresis well edited and provides fine notes and references along with an index of important people within the book as well as maps. In 1930 almost 13,000 African Americans worked in the coal mines around Birmingham, Alabama. They made up 53 percent of the mining workforce and some 60 percent of their union's local membership. At the close of the twentieth century, only about 15 percent of Birmingham's miners were black, and the entire mining workforce had been sharply reduced. Robert H. Woodrum offers a challenging interpretation of why this dramatic decline occurred and why it happened during an era of strong union presence in the Alabama coalfields. Drawing on union, company, and government records as well as interviews with coal miners, Woodrum examines the complex connections between racial ideology and technological and economic change. 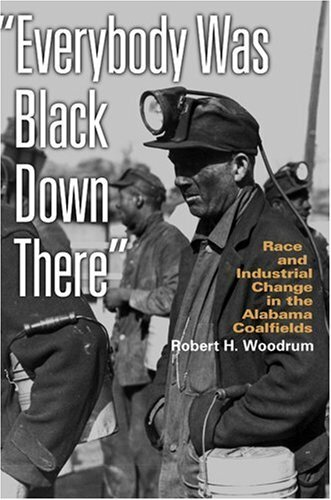 Extending the chronological scope of previous studies of race, work, and unionization in the Birmingham coalfields, Woodrum covers the New Deal, World War II, the postwar era, the 1970s expansion of coalfield employment, and contemporary trends toward globalization. 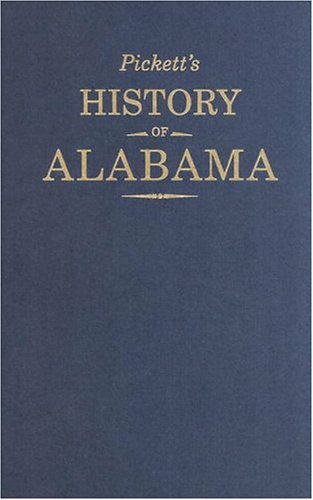 This is a facsimile of the 1962 edition of Pickett's 'History of Alabama,' which was first published in 1851. A bright new copy. I'm not even finished yet, and this time machine is profoundly effecting my perceptions on modern day life. Seriously this is amazing stuff. 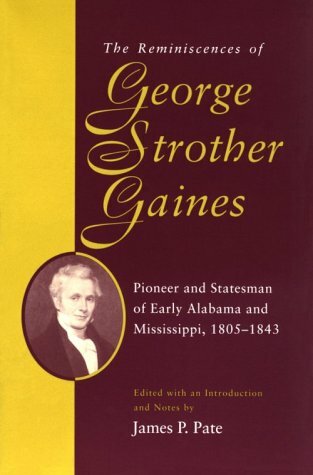 This is a must read for any student of Alabama history and was the first real history books written in the state by a man who knew many of the original founders of the state and knew many of the people that he wrote about. He was very intimate with the events of the earliest days of the state and interviews many people who were eye witnesses. Pickett writes in a narrative form with much passion and is a delightful read. Pickett is criticized by many for his passion and excitement and his failure to do footnotes and documentation. This is silly. How does one footnote a conversation with someone who was there at the event? and the older hardbacks are collectors items and even the new books are always sold out. Alexander McGillivray who Pickett says is one of the most important people in the history of Alabama and I agree. the canoe battle would do itself proud in any action picture. Also Pickett shows himself to be a forward thinking individual. Who else (in his time) would point out the hypocracy of christians for being outraged when one of their churches is burned by native americans, but thought nothing of destroying hundreds of their holy sites. 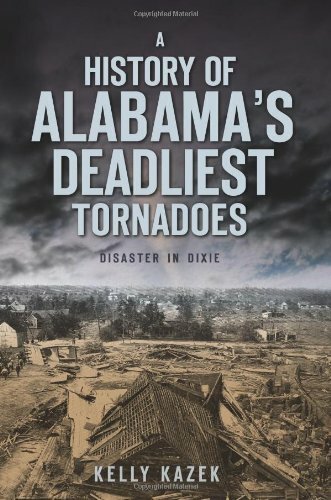 After a brief introduction in Chapter One titled "Alabama, State of Chaos" - a section in which we learn of Alabama's deadly history with tornadoes - author/researcher/journalist Kelly Kazek explores the details six of the most devastating tragedies to affect the Yellowhammer State. Various trivia information - like the fact that Alabama has two tornado seasons - is provided with chilling details. Unbeknownst to me, my current home state is in the top five for F5 tornadoes, some of them attack nocturnally (which is abnormal), and enough of the twisters hit to garner the nickname "Dixie Alley." Amping up the fear for many is the fact that Alabama is very densely populated, and quite a few people, more than most other states, live in mobile homes. This is a recipe for disaster that has struck enough times - most notably in the six aforementioned fearful vignettes spanning 1908-1994 - that this book was even possible. Since I have lived in Kansas, I never really thought of Alabama as a tornado state twin...but I was evidently incorrect in my assumptions. Having lived in north Alabama for nearly four years as of this review (July 2010), I luckily missed all the major events in my "neck of the woods," but unfortunately lived here long enough to experience the state-wide surprise and heartache resulting from the tornado that sadly took nine young lives in Enterprise, AL in 2007. The power of this book is in the familiarity. A virtual neighbor to the author, I have been or live in the towns, counties, and cities referenced, places within a stone's throw, places swept of the map in one fell swoop. The fear has been planted within me after numerous roads I have driven, and some I drive every day, are shown in chaotic photos displaying the war-torn junkyard of unrecognizable debris, car parts, and confusion a tornado's punch can cause. The final nail into my consciousness is the picture of a Gibson's BBQ van covered, like a junker in a horror movie, in the aftermath of the tornado's wake. If world famous barbecue is not safe, then no one is safe. Included as afterthoughts are the final two chapters covering terrific tornado tales and tips on twister safety. The overall collection is a bitter reminiscence for Alabamians (and transplants), a chronological eulogy of sorts for those affected, and worthwhile historical perspective. Recommended for Alabama and North Alabama historians, amateur meteorologists, storm chasers, and people who hate the absurdity in the movie Twister. Well-presented and easy to reference, this thoroughly-researched book has everything an historian needs at his fingertips. The book arrived quickly and in excellent condition.It looks like a brand new book.I am very pleased with the book and the seller.Thanks Amazon! 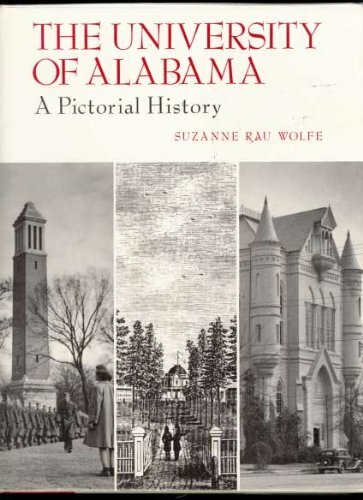 This is a very good history of Alabama book.I was a little biased at first, because my father is mentioned several times, but after reading the book, I can honestly say that it is a great book, despite my father being written about in it. 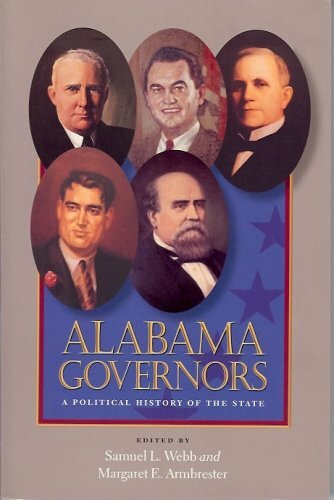 This books gives a great autobiography of the state of Alabama, filled with tons of useless dates and names of people who had no lasting impact on the state. Anything and anybody plus their family history that had something to do with Alabama is crammed into one chapter. The book is struggle to read and hard to keep up with. Alabama has a turbulent history.I hate to use clichés, but in this case the word "turbulent" really fits.In fact, Alabama's history is so politically charged and divisive that no scholar dared touch it for 60 years.This book is the first comprehensive history of the state written since Moore's HISTORY OF ALABAMA of 1934.An awful lot has happened since then. This book does justice to the state and its fascinating, if not always comfortable, history.It enjoys the intellectual resources of four notable scholars, with paths variously intersecting at Auburn University.It's a political and social history, divided into four chronologically arranged sections, each written by one of the four.The coverage of early Alabama settlement and consolidation is a bit thin, the narrative rushing somewhat to reach secession, but the rest of the book is rock solid, up until about 1992. All the topics you expect to be in here are:Cotton prosperity, The Civil War, Reconstruction, the Great Depression, the Jim Crow Era, Civil Rights, and modern economic development.There are also a few nice surprises too, such as good studies of the development of education in the state, the role of women during the many wars, and the tense balance between agricultural populism and industrial growth.It's a well-written, comprehensive study that presents the state in a critical but respectful light.And since the standards of scholarship are high, the reader should expect criticism where criticism is due.The authors use their sharp narrative skills with the support of appropriate data to test hypotheses and reach conclusions that are difficult to refute.It's an enjoyable casual read, but also a rigorous analysis.This is history done well. 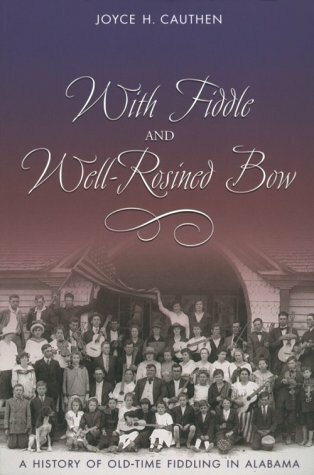 Joyce Cauthen's book is excellent.She provides a good history of the fiddling tradition in Alabama, reaching back to the 1800s.I liked her descriptions of dances and contests, and her biographies of Alabama brag fiddlers are fascinating reading.She also includes information on the traditions and beliefs associated with fiddling, and there are good appendixes that reveal the names of tunes and fiddlers from the early 20th Century.This book will be interesting for those studying Alabama's history and folklife, and it is also an important contribution to the growing volume of scholarship on American fiddling as a whole.The book also includes terrific photographs, some of which are over 160 years old. I have long been fascinated by mention of the "Old Federal Road." I have even seen historic markers on Alabama roadways.But, until I stumbled across this slim volume, I found it difficult to find more than just a few lines written here and there about the Old Federal Road, its origin, development, route, and practical utilization ... its almost-mystical experience, at once brutal and romantic. 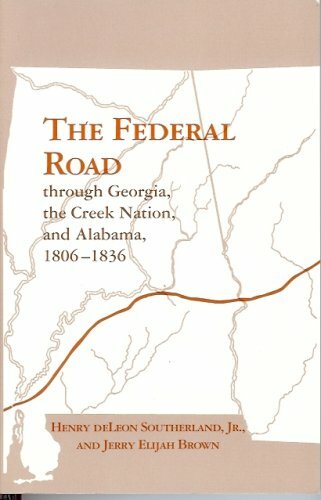 This telling of the road's history and relatively short but important life should stand as a "must read" for anyone with particular interest in the American Colonial-to-West migration, Native American removal, and/or Alabama state history.This is as good as any 'snapshot' of life on the Alabama frontier in the early history of the state.The text is smoothly written.Several nice maps are included, too (although I wish these were a bit larger). In researching my genealogy, I wondered often about the location and perils of the Old Federal Road.This book has answered my questions and done so in a way that was most entertaining. 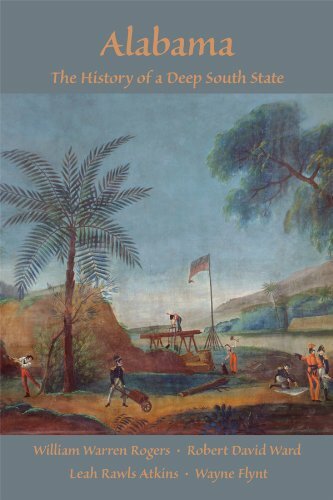 This book is an excellent resource for any who are studying the American frontier. I am currently using this book as a resource for my Master's thesis. see the descriptions of land and waterway problems of our ancestors. I recommend it for the historical value and the referenced materials. Enjoyed the comments made by the travellers on the roads and the inns in which they stopped. Sadly, the maps were not of a very good quality. Too small and required a magnifying glass to read the numbers along the trails pictures. Hopefully the next edition of the book will have enhanced maps of the roads and perhaps also an added overlay map with the counties through which the road ran for a better perspective of the route the roads took. With twelve national championships, nineteen players and coaches in the College Football Hall of Fame, and a tradition of national achievement that reaches back to the 1920s, the University of Alabama has secured its spot as one of the most successful athletic institutions in the history of American sports. Dating back to the days when university president Dr. George H. "Mike" Denny decided football would be the university's ticket to national prominence and especially during the years of legendary head coach Bear Bryant, Alabama has produced some of the most renowned teams and players in the history of the game. And hear from the great players -- early legends such as Harry Gilmer and Vaughn Mancha, and larger-than-life heroes such as Lee Roy Jordan, Ken Stabler, and Ozzie Newsome -- and from scores of other players -- some famous, some not so famous -- who have personal stories to tell about the pride and privilege of wearing the red jersey. I bought this as a present to myself. Even used the book came in great condition with a slip cover. Both were high qaulity and definitly help round out my Bama book collection. If you are a true friend and like me too young to remember the "old" glory days, this is a great book and full amazing information. ROLL TIDE! 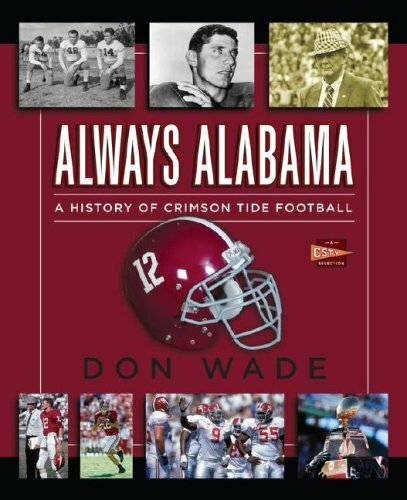 Interesting book for any 'Bama fan. The excellence, glorious moments, Bear Bryant legacy, rivalries... The history of Crimson Tide Football is inside this book. Each chapter is written in a quick way and with a lot of curious articles... A total must-read. I open all Alabama football books with a skeptical eye. There have been too many poorly done books on the subject. But "Always Alabama" is well done and the best combination of storytelling and pictures I've seen. I was shocked by how many interviews the author did and the fresh perspectives -- even talking to players from the losing Sugar Bowl Penn State team. He added a nice twist by talking to long-time Alabama sports writers. These guys weren't afraid to say what they think. The Bryant pictures in this book were outstanding. It's a fun book, but has actual substance to it, too.